On September 6, 2017 Hurricane Irma swept through the Caribbean causing mass destruction throughout the region. 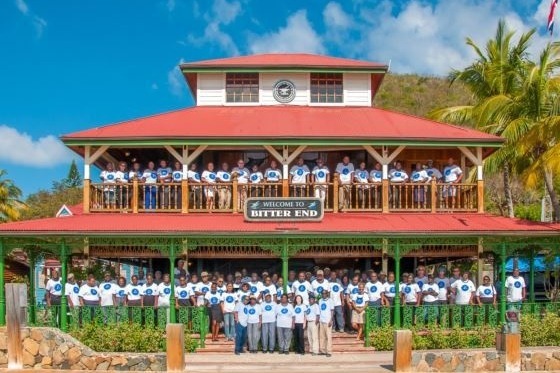 In response to the overwhelming outreach we have received from our guests who want to help, we set up a fund to support the employees of Bitter End who have been impacted by the storm and the Virgin Gorda community rebuild their lives. BEYC and the community of Virgin Gorda have been devastated by the storm. Bitter End was founded as a family resort and yacht club in 1973 and is one of the largest employers on Virgin Gorda with over 175 employees. Over the last forty years, the spirited team that works at Bitter End has become an extended family for many all over the world. We are all heartbroken that our employees, their families and the entire Virgin Gorda community have lost so much in Hurricane Irma. We need your support to help them rebuild their lives and the Virgin Gorda community. Please make a donation today. Every dollar donated will go towards BEYC Caribbean employees who were impacted by Hurricane Irma and the community of Virgin Gorda. "The Bitter End is like no place on earth! The North Sound is the perfect place to sail, kite, SUP, dive, and hang out with family and friends, with its great winds, clear blue water, and surrounding peaks. We discovered The Bitter End on our honeymoon in 1993, the two of us sailing an old Pearson 30 around the islands. We have returned 15 times over the years, and our four kids grew up exploring all that the land and sea has to offer. It is like a second home to them. But more important than the beauty of the islands is the unbelievable team of people who really make The Bitter End so special. They are caring, enthusiastic, fun and energetic. Each year on our return, we are greeted by ‘old friends’ welcoming us back just like we are family. These people who have done so much for us have lost everything, and now it is our turn to help them. It is this extended family at The Bitter End that we are supporting with our matching gift of $100,000, and we hope that this helps others dig deep to increase their gift, or make a first-time gift. Please join us in helping the tremendous family and team at The Bitter End.” ~A BEYC “Repeater Guest” who chooses to remain anonymous. *Donations to this relief effort in Youcaring.com are not tax deductible as we do not have a 501c3 status. 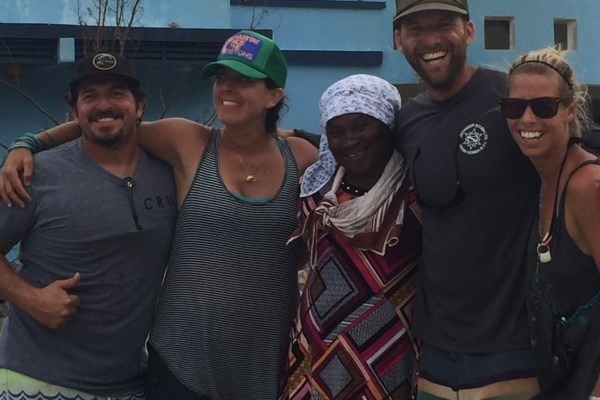 100% of the funds collected will go directly to the Virgin Gorda Community and the local employees of Bitter End who have been impacted by the storm. *Please make checks payable to Gorda Estates Ltd.
**For those partners and friends of Bitter End who would like to support our efforts on a larger scale, be it individually or through corporate contributions, we have established a donor advised fund, known as the Bitter End Irma Relief Fund in partnership with The Resource Foundation to coordinate disaster relief efforts in Virgin Gorda. BEYC’s leadership will work with The Resource Foundation and locally-based partners on mid-and long-term response and recovery initiatives that will empower the communities and help them rebuild their lives. The Resource Foundation is a 501(c)(3) organization and all contributions to this fund are tax-deductible for U.S. taxpayers. To learn more about our partnership with The Resource Foundation, please visit our donor advised fund on their website at http://resourcefnd.org/funds/bitter-end-irma-relief-fund/. For more information on making a donation or the work we are doing in the region, please contact Kerri Quinn Jaffe, our Chief Marketing Officer at 203-656-5008 or kjaffe@beyc.com. SPANISH TRANSLATION: El pasado 6 de septiembre de 2017 el huracán Irma atravesó la zona del Caribe causando un daño devastador en toda la región. La respuesta abrumadora que hemos recibido por parte de nuestros huéspedes ha motivado a la creación de un fondo especial para ayudar a los empleados de Bitter End que con el paso del huracán no sólo han perdido sus pertenencias, han perdido también su hogar y su comunidad. El dinero recaudado aportará significativamente a la recuperación de la calidad de vida de nuestros empleados y al desarrollo y reconstrucción de Virgen Gorda. Fundado en 1973, el Bitter End Yacht Club(BEYC) es un resort familiar con marina en donde trabajan 175 personas,convirtiéndolo en el empleador más grande en Virgen Gorda. Durante los últimos 40 años, el equipo que trabaja enérgicamente en Bitter End se ha convertido en la familia extendida de muchos de los que nos han visitado de todas partes del mundo. Nuestros corazones están devastados por la gran pérdida que han sufrido nuestros empleados, sus familias y toda la maravillosa comunidad de Virgen Gorda. Necesitamos su apoyo para poder aportar a reconstruir la vida de nuestros empleados y de toda la comunidad. * NOTA: Las donaciones a este fondo no son deducibles de sus impuestos ya que no tenemos un estatus 501c3. El 100% de los fondos recaudados se destinarán directamente a la comunidad de Virgen Gorda y los empleados locales de Bitter End que han sido afectados por el huracán Irma.